SIOUX FALLS, S.D. — South Dakota's Corrections Department is refusing to disclose the specific lethal injection drug it will use in the planned execution this fall of a man who admitted to killing a prison guard. A department spokesman said in an email this week that the disclosure could tend to identify the execution drug supplier, which state law makes confidential. Lawmakers in 2013 approved the protections shielding the identities of those that supply the lethal injection drugs. Department of Corrections Secretary Denny Kaemingk said in a statement that the department plans to use a "one-drug protocol" in the execution of Rodney Berget. Agency policy dictates the drug would be either sodium thiopental or pentobarbital, both of which are barbiturates. Kaemingk said the department has the drugs to execute Berget, but cited the confidentiality law in declining to provide more information about the drug. South Dakota's last two executions were in 2012, and it used pentobarbital. Corrections Department spokesman Michael Winder said in the email that the agency isn't prepared to release the information "at this time." Tony Venhuizen, chief of staff to Gov. Dennis Daugaard, said in an email that the department is preparing to carry out Berget's sentence and that additional details will be released as the plans are finalized. 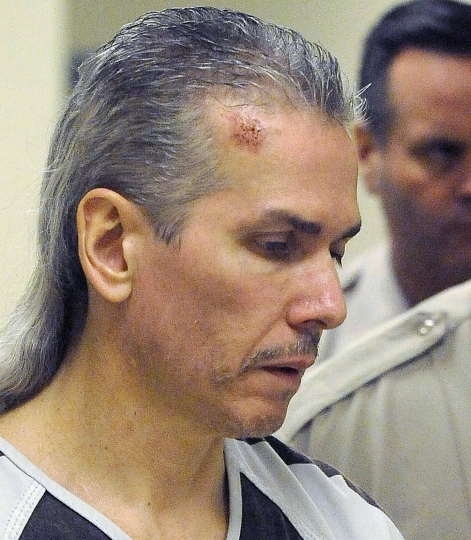 Berget is scheduled to be put to death between Oct. 28 and Nov. 3. The warden of the state penitentiary will choose the specific time and date, which will be announced within 48 hours of the execution. Berget pleaded guilty in 2012 to killing Ronald "R.J." Johnson in a failed 2011 prison escape attempt with fellow inmate Eric Robert, who was one of the two men the state executed in 2012. Berget in 2016 appealed his death sentence, but later asked to withdraw the appeal against the advice of his lawyers. "I want this to be the last day I appear in court," Berget said at a September 2016 hearing. An attorney for Berget declined to comment Friday to The Associated Press. The last execution in South Dakota was the lethal injection of Donald Moeller on Oct. 30, 2012, for the killing of Becky O'Connell.